Long Hollow Ranch is a historic pioneer ranch in central Oregon. 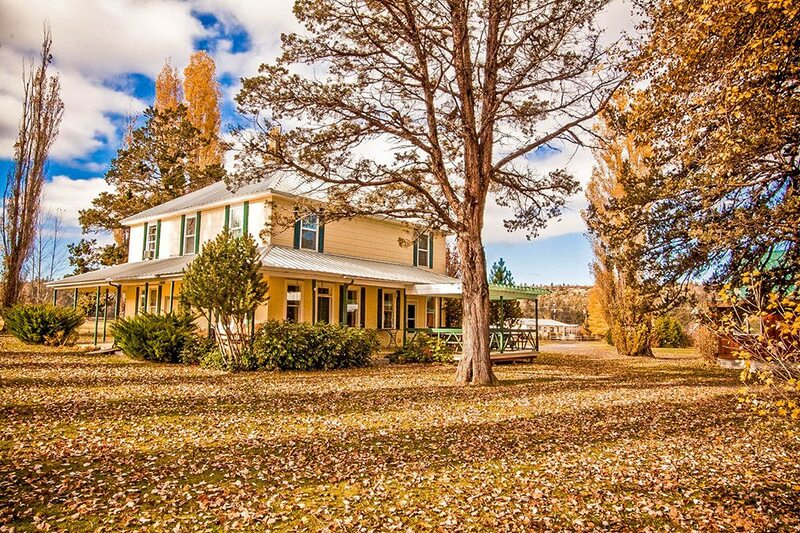 The original ranch buildings, over a century old, have been preserved and renovated for hosting ranch guests. The main ranch house has been updated to include five ensuite guest rooms.The original ranch "store" (once a stage stop)is now the guest cottage. All guest areas are decorated in a manner designed to evoke the feeling of "Grandma's house." Guest activities center around the horse program: trail rides, cattle drives and arena lessons. Fly-fishing for big Rainbow Trout and casting for Bass are ever popular on the ranch. Guided fly-fishing ventures on the nearby Deschutes River are also available. One day each week a fabulous wilderness river rafting experience is on the itinerary. One of Oregon's top rated golf courses is just 15 minutes from the ranch. Shoppers will enjoy visiting nearby Sisters, home of North America's largest outdoor Quilt Show, held each year the second Saturday of July. The Sisters Rodeo,which occurs each June is one of the "best in the west." Nearby, Redmond and Prineville also offer several top rated rodeos each summer and fall. Some of the nations top rodeo cowboys have grown up in the area and call central Oregon home. Ranch Dining: Long Hollow Ranch guests enjoy great "home cooking." And, meals are served family style around the ranch table or on the deck. Our guests have the opportunity to enjoy your meals with other guests, some international travelers from around the world, as well as ranch staff. And, much of the food is grown right on site in the greenhouse and in the ranch gardens. Ranch Activities: Long Hollow Ranch offers a wide variety of activities to satisfy our adventure minded guests. The primary guest activities center around the horse program and include trail rides, cattle drives and arena lessons. Fly-fishing for big Rainbow Trout and casting for Bass are also popular here. Guided fly-fishing on a nearby world class fly-fishing stream is available for the fishing enthusiast. River rafting is another memorable outdoor wilderness experience available as well. 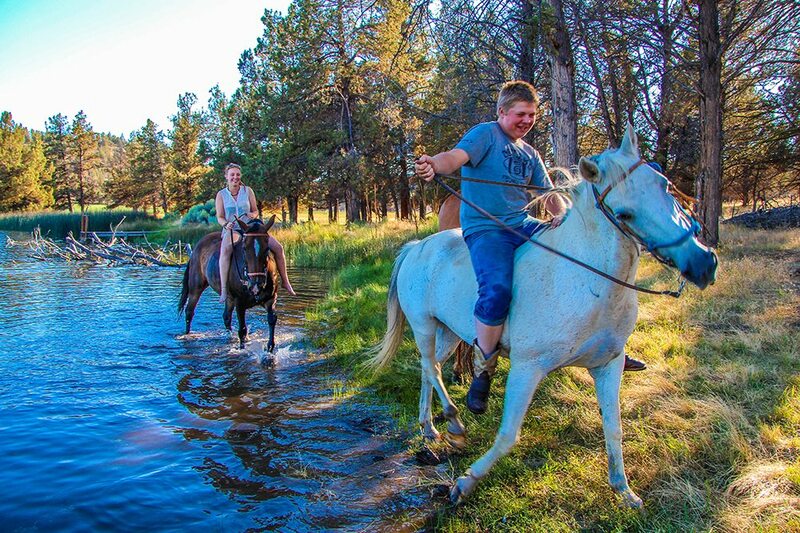 Ranch Lodging: Long Hollow Ranch is historic in Central Oregon. The buildings are original, built at the turn of the century. The guest rooms have been updated to include private bathrooms for guests while maintaining the atmosphere of the early twentieth century. Meals are served family-style. The food is best described as "down-home with flair." The atmosphere in the guest house is one of peace, comfort, and family. Guests remark that they feel at home and relaxed. Lasting friendships are formed here. Cancellation Policy: The deposit, minus $100 per guest, will be refunded if notice is received 30 days prior to the scheduled arrival date. If fewer than 30 days notice is given, the deposit will not be returned, however, the deposit amount may be applied to a future Long Hollow Ranch stay.